Part of the landscape at Blue Mountains Botanical Garden,Mt Tomah. 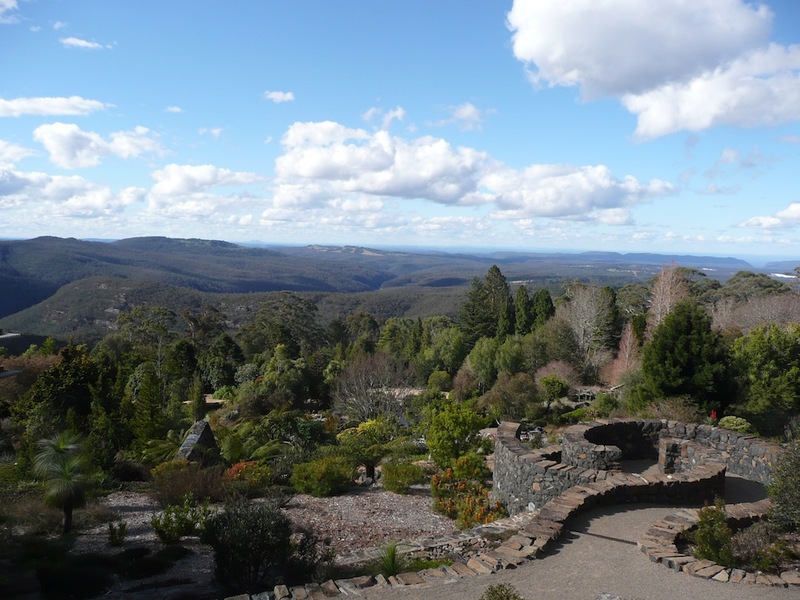 The Blue Mountains Botanic Garden, at Mt Tomah, is the cool weather garden of the Sydney Royal Botanic Gardens, 1000m above sea level and just over 100km from the Sydney Gardens. The spacious and light filled Exhibition Centre is perfectly situated with a spectacular view over the Blue Mountains all the way to the city of Sydney. A magnificent backdrop to the exhibition. 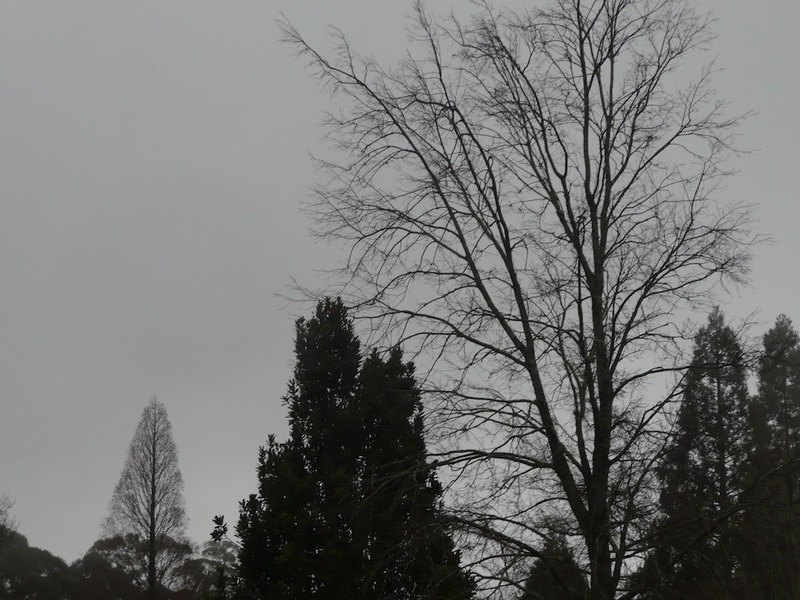 The week before I arrived it had snowed at Mt Tomah and there was still quite a chill in the air but in my short stay I saw the end of Winter and the beginning of Spring. The rangers had left a much appreciated stack of firewood for me at the Residence so I could keep the fire going all night. Left to my own devices,in the evening I wandered the Gardens magnificent collection; the ancient conifers, the bog garden, the daffodil lawn and an interesting and well interpreted Plant Explorers Garden. Stunning King Parrots and cheeky blue wrens were prolific. Saturday’s Mixed Media Workshop went ahead with participants bringing along an eclectic mix of media including some fantastic hand dyed paper. A cold grey day outside but we didn’t really notice, so industrious were we that I neglected to photograph the workshop! For visitors, the exhibition area was a popular space to congregate so, before heading off, I was able to speak about the works to a number of interested viewers. The Performance of Hannibal & Spud being quite popular with the Sunday visitors! 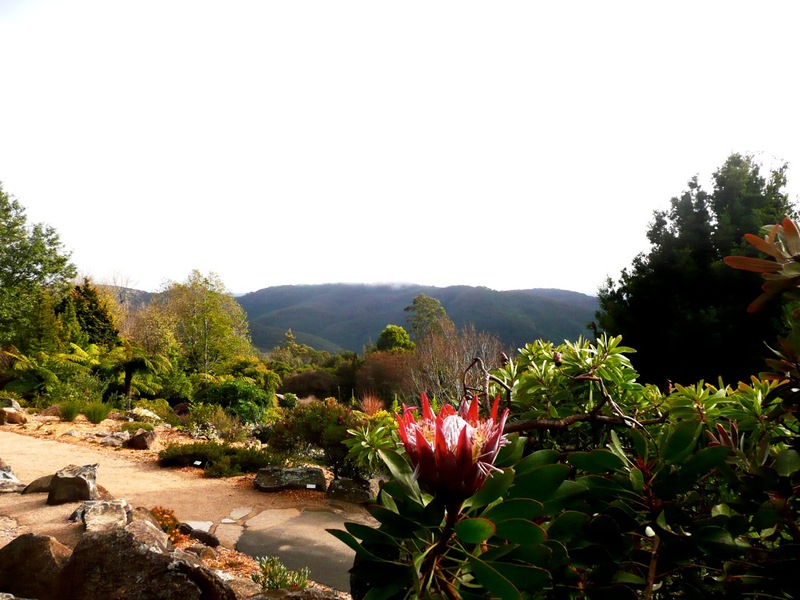 Beautiful Blue Mountains Botanic Garden, Mt Tomah. 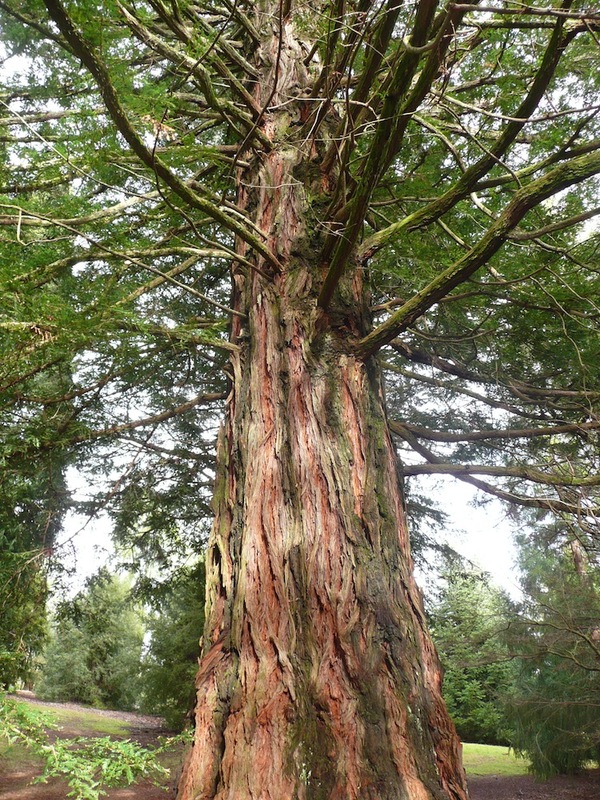 One of the ancient conifers at Blue Mountains Botanic Garden, Mt Tomah. 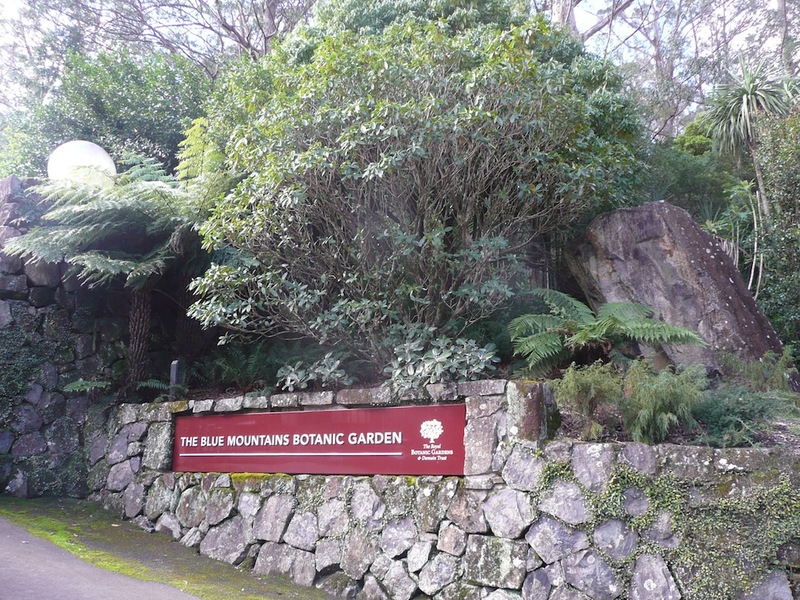 The magnificent Blue Mountains Botanical Garden. 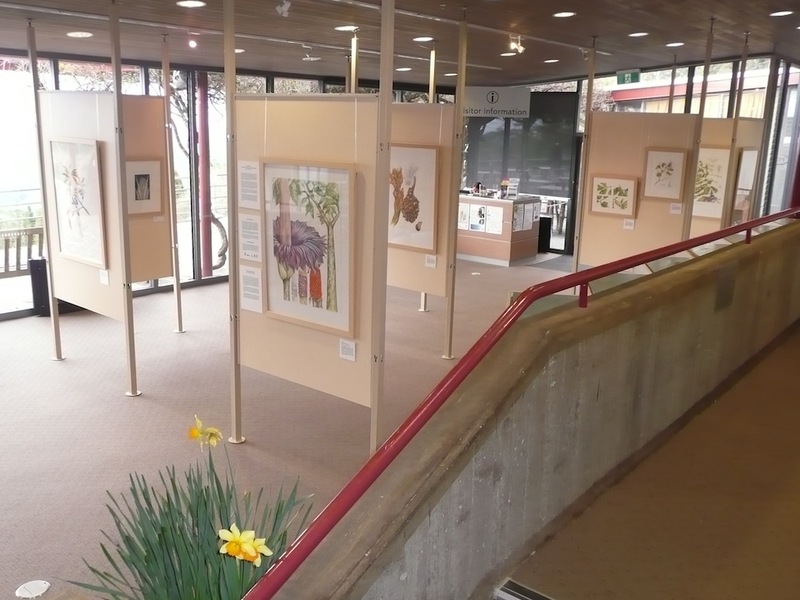 A highlight and privilege for me was to have the Australian National Botanic Gardens, in Canberra, host my exhibition. 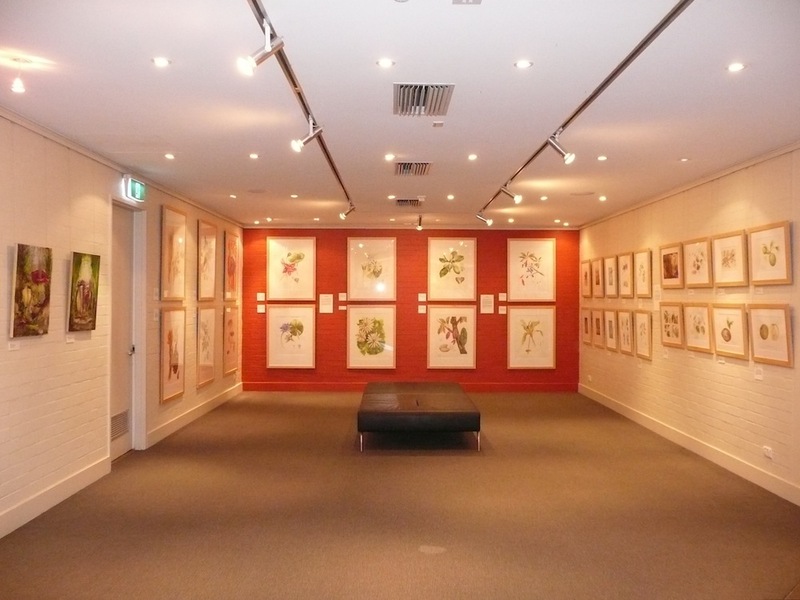 The ANBG cares for the national collection of Australian native plants and has strong links with the Centre for Australian National Biodiversity Research and the Australian National Herbarium. For my visit, the temperature was 40˚C cooler than my last venue but Canberra’s clear skies and still days made the cold almost enjoyable! 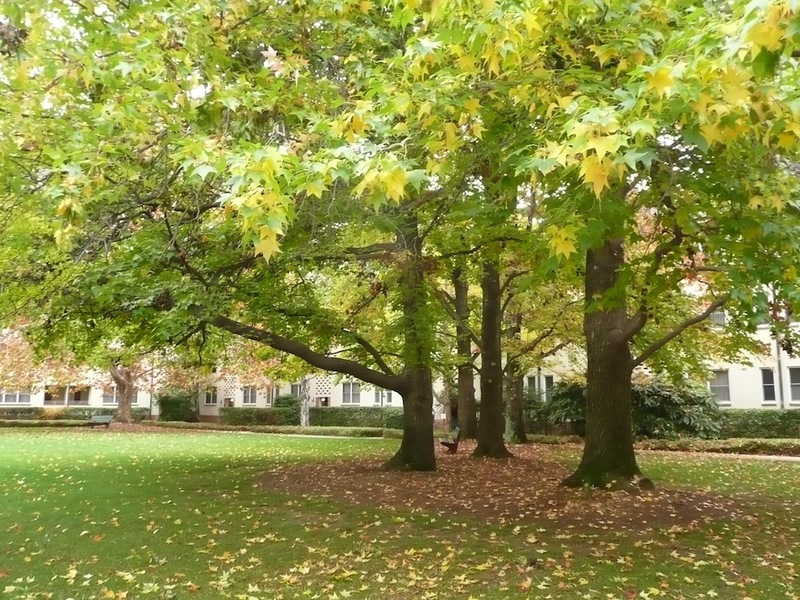 Especially each morning when I walked from my accommodation at University House to the Gardens, the fabulous combination of Autumn leaves and blue sky overhead. It was great to see the works again, in another venue and hung differently, this time with some featured on a bright terracotta wall. 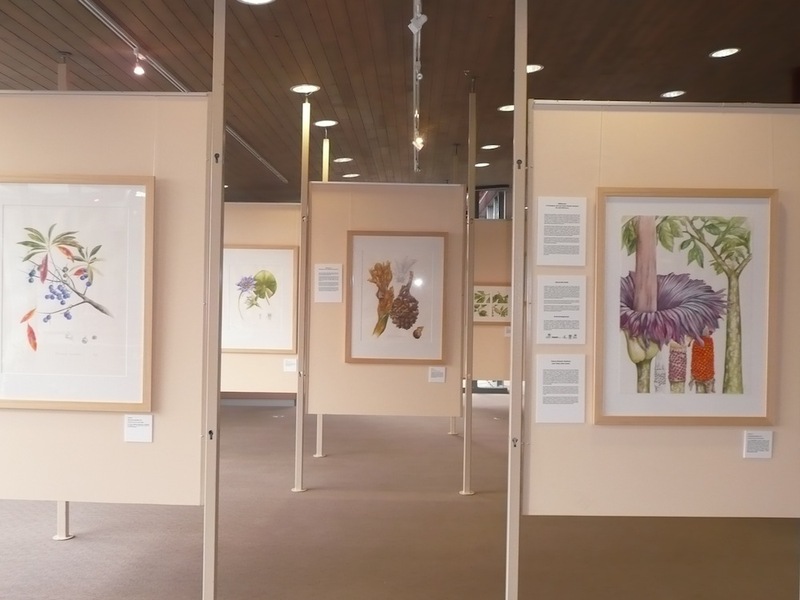 An interesting bunch from Friends of the Gardens filled the auditorium on Thursday, for my slide show of the Cairns Botanic Gardens and the Offshoots artworks, some with in-depth knowledge of the Far North’s flora. Those who could, joined me afterwards for a short floor talk at the exhibition. The Native Plant Association invited me to speak that evening at their monthly meeting so most of that day and evening was spent at the Gardens, meeting and talking to a wide range of plant loving locals. The following day an enthusiastic group joined me for the Botanical Postcard Workshop. The rangers had delivered an array of banksias and eucalypts to paint so I was in new territory and loving it! Saturday’s schedule included a Botanical Journal Workshop which was loads of fun and concluded under the radiators at the Garden’s outdoor cafe. Although drawing ceased upon arrival of hot chocolates and raspberry friands, the good humour continued. Julie at Australian National Botanic Gardens doing a workshop. Somewhere there I squeezed in a guided walk through the Gardens, the guide anxious to show me the Rainforest and Central Desert gardens! I snuck away early to get a good look at the less familiar Eucalypt Lawn. Thank you ANBG and Canberra friends. 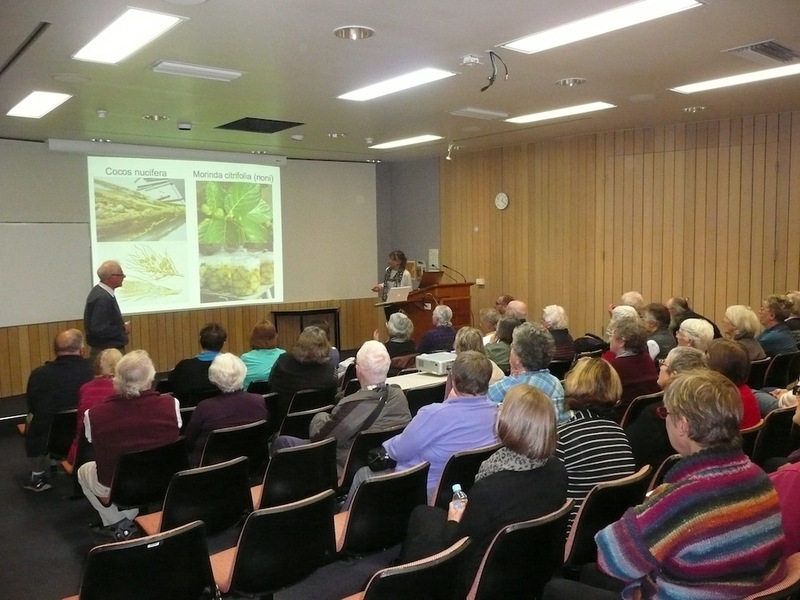 Julie giving a slide show talk on the Cairns Botanic Gardens and Offshoots Exhibition.